Michael completed his Masters in Architecture from the University of Technology, Sydney and during his final year his graduating project was nominated for two awards external to the university (the AIA Award for Digital Innovation and the Object Gallery Award for Excellence and Innovation) and was announced the winner of both. Following university, Michael was successful in securing an internship at Frank Gehry’s office in Los Angeles, California. During his time in LA he became part of the design team of the large scale residential Battersea project in London, helping formulate complex formal design via the means of iterative physical modelling, 3D printing, 3D scanning and digital modelling. In addition he assisted designs of window fronts for the Louis Vuitton store in Paris using these same design principles. After returning to Australia, Michael joined the large architectural firm PTW Architects in Sydney. His scope of works would expand to all stages of building from a series of competitions, DA submissions, design development and construction documentation. Significant projects include 700 apartments at 88 Christie St in St Leonards, the construction documentation and site management at Harold Park Precinct 6B and the design development of Wanda One Sydney in Circular Quay. 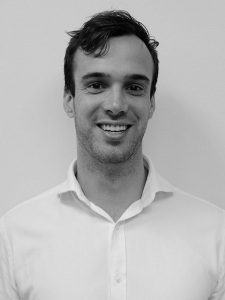 Throughout his studies Michael also completed several semesters peer tutoring and whilst working at PTW became a tutor for Architectural Communications at UTS teaching students an array of software and how to maximise the potential using these programs. Michael’s architectural interest lies in the realisation of great buildings via a rigorously tested design process through sketches, modelling, the array of technology available to today’s architects and that ultimately the form of a building is only as good as it is detailed. He believes that the architectural process is not an avenue to simply finish a project, but an opportunity to question, challenge and investigate to provide the best design outcome possible.